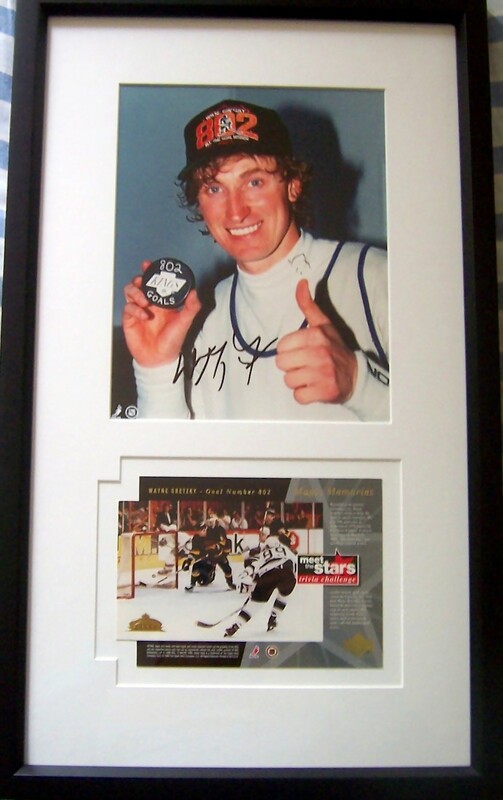 8x10 Los Angeles Kings photo of Wayne Gretzky after scoring his NHL record 802nd goal autographed by Gretzky in black marker, professionally matted and framed in glass with a 5x7 inch Upper Deck card commemorating that historic event, ready to hang. With certificate of authenticity from AutographsForSale.com. ONLY ONE AVAILABLE FOR SALE.